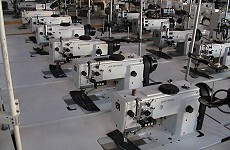 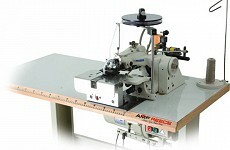 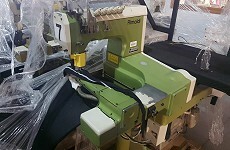 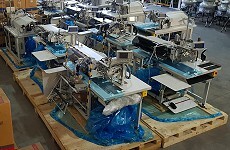 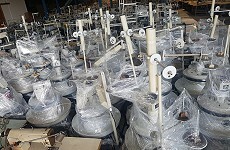 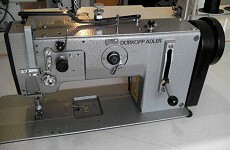 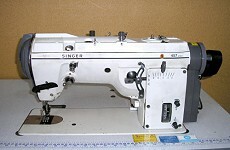 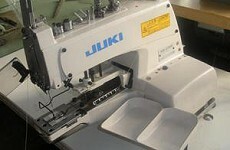 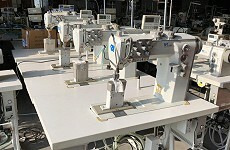 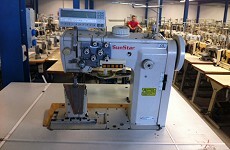 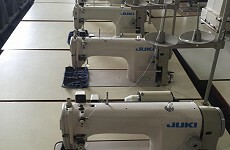 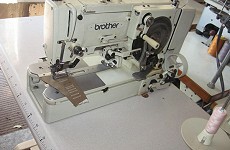 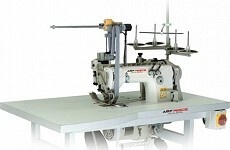 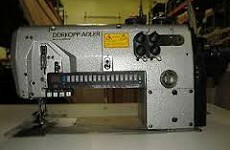 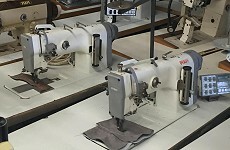 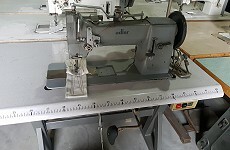 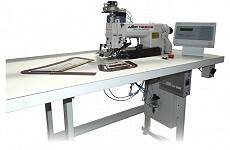 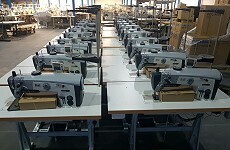 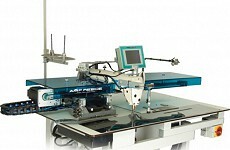 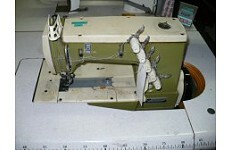 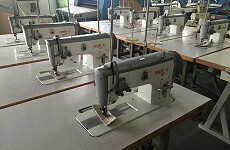 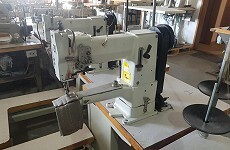 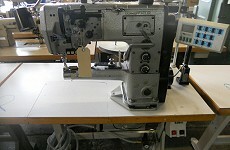 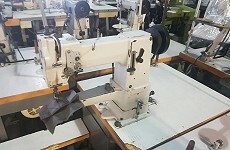 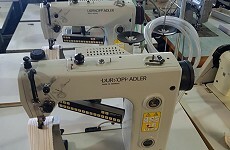 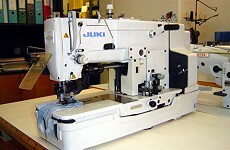 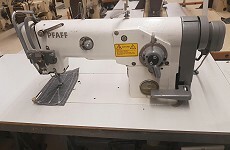 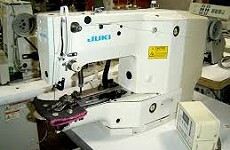 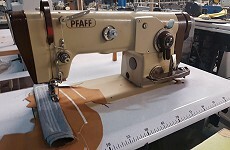 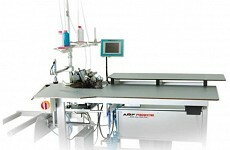 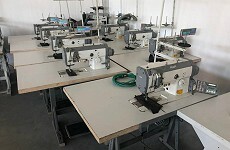 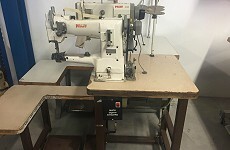 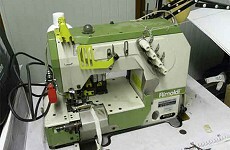 1 needle flat bed sewing machine with triple transport,thread trimmer, foot lifter, complete on table . 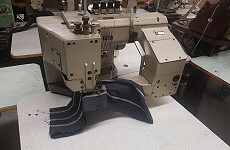 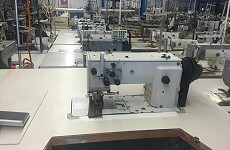 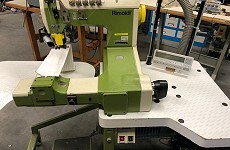 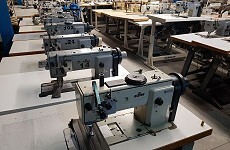 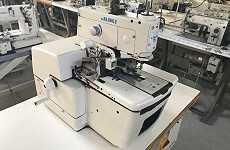 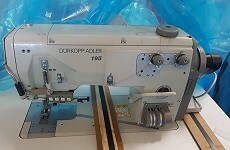 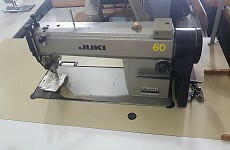 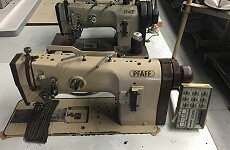 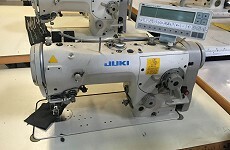 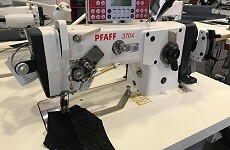 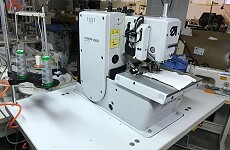 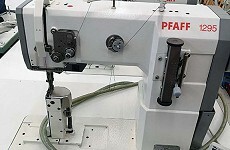 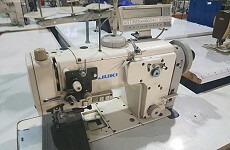 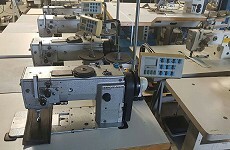 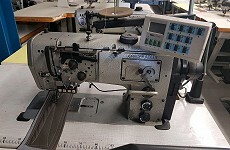 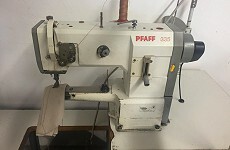 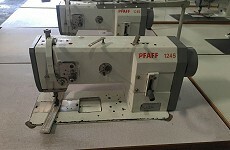 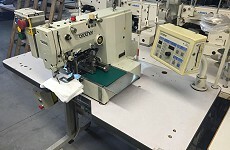 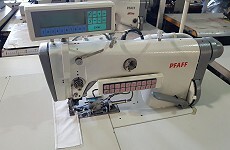 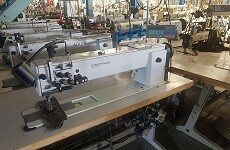 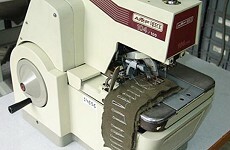 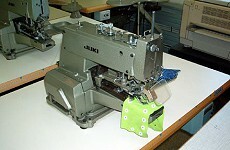 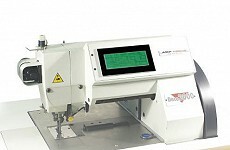 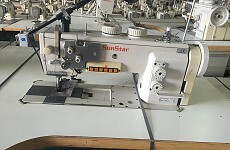 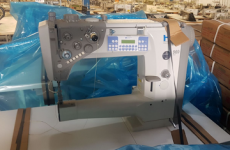 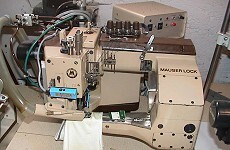 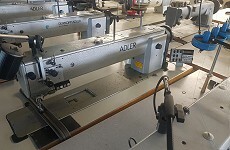 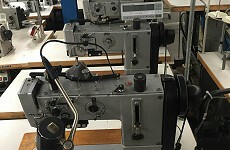 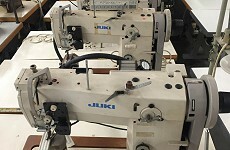 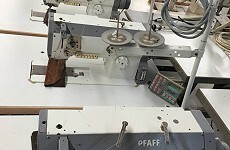 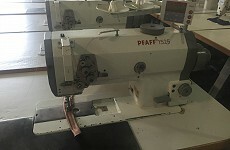 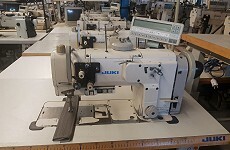 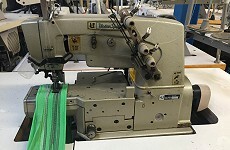 Single-needle lockstitch flat bed machine with bottom feed, needle feed and alternating feet and a maximum stitch length of 12 mm. 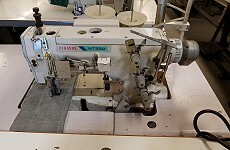 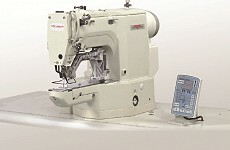 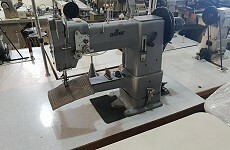 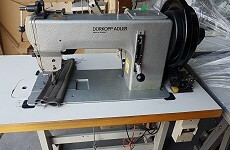 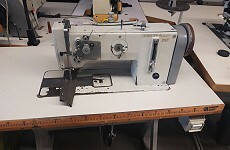 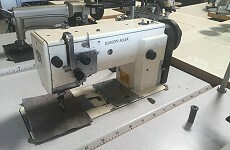 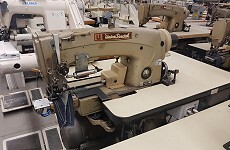 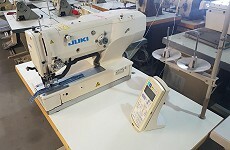 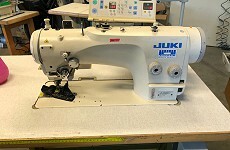 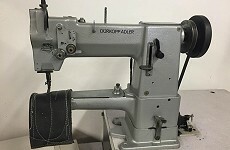 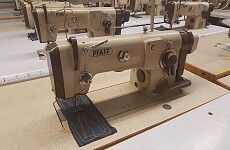 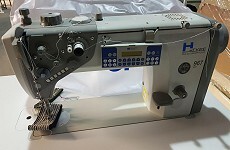 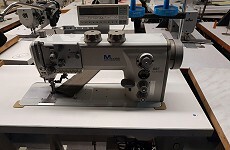 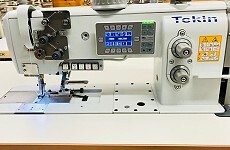 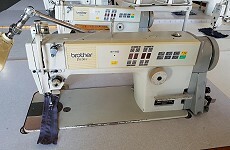 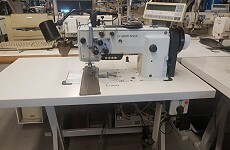 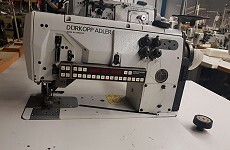 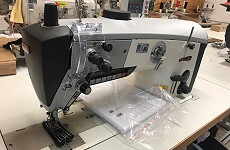 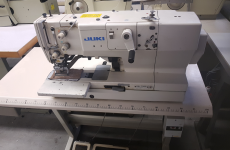 The 867-190322 CLASSIC is equipped with automatic sewing foot lift, an integrated second stitch length, an integrated second thread tension, quick stroke adjustment, automatic backtacking, thread trimmer, oil level warning lamp and a large vertical hook. 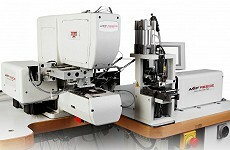 With the M-TYPE series a vision has become reality - a platform for medium heavy duty machines creating a new dimension of functionality and flexibility for all kinds of medium -weight applications. 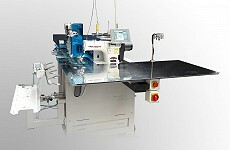 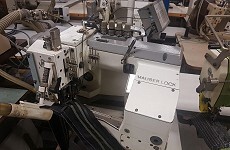 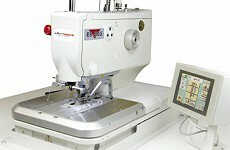 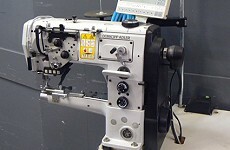 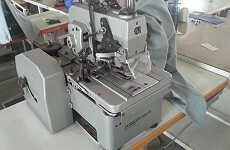 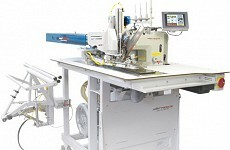 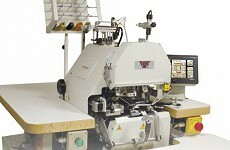 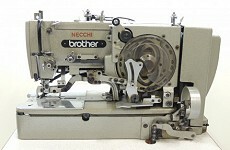 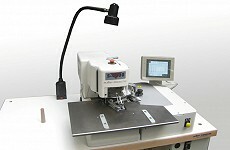 The lockstitch flat bed machine class 867, the first model of M-TYPE series, will set new standards. 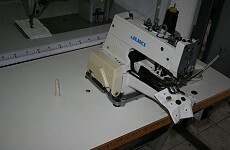 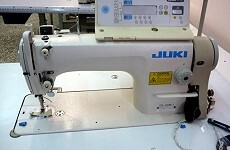 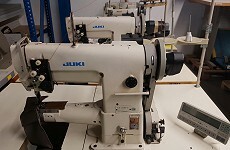 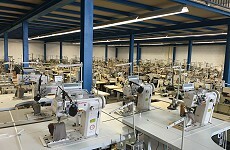 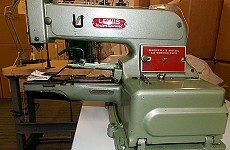 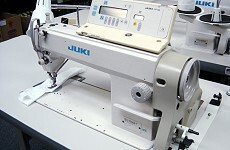 Above all, the modern design allows an enlarged clearance under the arm as well as a better view on the sewing area. 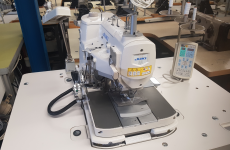 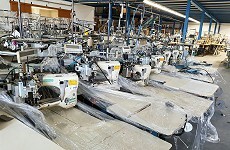 The highly efficient sewing parameters combined with a great variety of equipment make the 867 an ideal operating means for universal use.